Make sure your cat behaves as if you were standing right there. The PetSafe Wireless Indoor Cat Barrier is safe, easy to set up and very effective. Just place the small, disk-shaped transmitter (about the size of a Frisbee) near the area you want to protect. Then adjust the range from as little as 2 feet to up to 10 feet. When your pet gets near the signal a warning beep sounds on the receiver/collar. If he continues to approach the protected area, a mild correction is given. You can increase or decrease the correction to meet your cat's training needs. 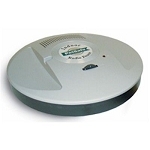 You can protect multiple areas and cats with additional transmitters or collars. The receiver/collar is light and durable and specifically designed for cats with an elastic safety strip that will stretch in those instances where your cat is exploring in a tight place. The Only Option That Actually Worked! "I had a problem with my cats chewing wires. I was so afraid that one day I would come home to electrocuted cats. I read up on the problem and tried several different advised methods, none of which worked. My cats apparently were more stubborn then the cayenne pepper, ""stay away"" sprays, etc... Then I found these collars. At first, my cats were not happy with the situation. To my surprise though, they learned extremely fast. Within days I found that they learned to stay away from the areas I placed the transmitters, avoiding the shocks that the collars induced. I have moved twice since I purchased these collars, placing them of course in my new homes, and now, my cats are so well trained that regardless of where they are, when they hear the beeping, they stop dead in their tracks. Now I don't have to worry about them chewing wires, destroying my XMas tree, or climbing into the underside of my reclining chair. 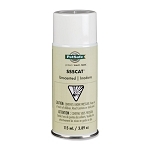 This is the best product to keep your cats safe. Note: The only drawback to the product is how quickly the batteries can drain, ""especially"" when you are first training the cats. The more they activate the collar or cause it to beep, the quicker the battery drains. Be sure to keep extra batteries on hand, and remember to check the collars for low battery power. They blink red when the batteries are low. On average, my batteries last around 2 to 3 months now that my cats are trained." While this product is finally working for me, be prepared to be frustrated. Neither the transmitter or the collar come with instructions, and operation of the collar is NOT self-evident. There is no explanation whatsoever for how to turn the collar on/off, or to set it at a specific setting. After speaking with the customer service rep, I finally noticed that there ARE settings marked on the collar for on/off, but they are black ink on black plastic -- virtually impossible to see. But it doesn't really matter, because turning the collar on and off is only the beginning of the challenges I experienced with this product. New kitten that continued attempts to get outdoors through the dog door where there are dogs, foxes, and coyotes. This product is a lifesaver, the cat now stays away from the dog door. It's works good but its way too big for cats and the battery life needs improvement. Should have bought it sooner!! This fence solved an expensive and life threatening situation with fighting among my cats. For an odd reason one of my adult cats began violently attacking another, very timid adult after another kitten was introduced. The "fence" gives my timid cat a safe room to retreat to, and the aggressive cat thinks this timid cat has new found "strength". I can't be more happier with the product!!! Very useful. We just about gave up on our cat who loves to jump over the fence. This product sure curtailed that. I bought the cat barrier with collars to keep my cats from going out the dog door in the kitchen since they are completely indoor cats. I also used the other unit to keep them out of the basement and it works wonderful. They actually know when they hear the warning sound and they get out of there before it shocks them. I tested the shock and it works, they want out of there real quick. It is well worth the money, easy to install and works great with the long hair of cats. I would highly recommend this product to people who have the same issues. This system would work great if the transmitting unit had any level of consistency. It can be projecting a good range of 5-6 feet one second and ten seconds later it only activates the collar from less than a foot away. I tried everything and went through three batteries attempting to get it set up to behave in a consistent manner. I have it on non conductive surfaces and am following all other guidelines from the instructions but it is still unreliability finicky. Also, the range dial is a joke...collar seems sturdy and reliable. Stayed on my cat but without a consistent field being transmitted by the base he still pees on the couch despite the transmitting base being 2 feet away. I bought this to keep our two cats out of the kitchen in our new home. It works well in keeping them out, but I am a little disappointed with the range of the unit. We have an orange Tabby who adopted us by coming in through the dog door despite or German Shepherd (we have 2 other indoor cats so the dog just ignored the new one.) However we have been keeping the dog door closed as we were afraid he would go out the same way so there have been a few dog accidents in the house. The collar has worked great and now Tabby stays away from the dog door. My mistake was I set the collar for the highest level and saw him get shocked once. He went about 2 feet in the air before he ran. Now at level 2. But it is working great and the adjustment on the control box is great. It is next to the dog door and 2 feet is about all we need. I use this to keep my obese cat from eating my dog's food. It worked wonderfully for keeping him out of the dog food. Instructions are not included with the product! I love my two rescue cats but it was driving me crazy trying everything to get my cats to stop going in the kitchen, climbing on the counters and raiding the pantry for food and treats. We tried a lot of tricks but nothing worked. Today was the first day using the collars and it took only two correctional shocks for the cats to understand that they were not allowed in the kitchen, they don't even walk near the area. Tonight we will sleep with a peace of mind knowing that when we wake up our kitchen won't be destroyed. Highly recommend ! Great for keeping the cats from using the dog door! One of our two cats has been getting out the dog door, by following him outside. 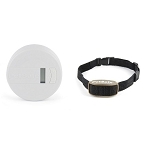 It's electronic, (also from PetSafe) and is only activated from the sensor on dog's collar. Nothing else has worked for long. We've had this collar for a week now. When the cat hears the warning beep, he runs away from the dog door! He's only been zapped once, when he heard the beep, and accidentally jumped toward the door. We didn't anticipate that the warning beep zone would extend through the wall, into part of the master bedroom. So far, whenever the cat hears it, he moves to another area of the room. The shipping time was horrible, which is why I rated it 4 stars. It took 9 business days, plus weekends, to ship from FL to AZ. Slowest shipping time ever!!!!! Great item that really works! We did a lot of research on how to keep our cat in the house, and out of the doggy door, and we settled on the Radio Fence. I am not a fan of shock collars AT ALL but this has definitely worked. She got the initial shock and has not gone near the doggy door since. We hope to eventually turn it down to where she just gets the warning beeps. Great product, anybody with this problem or similar needs this!!! Q: Does the PetSafe Indoor Cat Barrier, Model PIRF-300C, come with one transmitter collar? 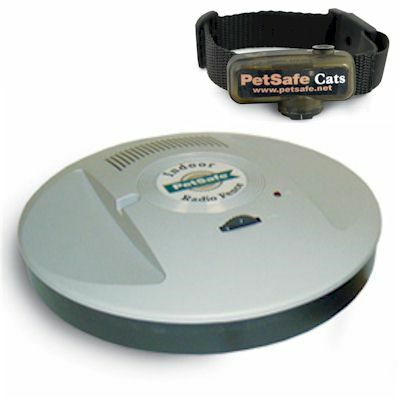 Yes, the Pet Safe Indoor Cat Barrier (PIRF-300C) comes with one transmitter and one cat collar. You can add additional collars & transmitters as needed. Q: i realize that the collar has batteries but does the disc unit run on batteries also or is there an adapter to plug into an outlet? Thank you for your great question. The disc (transmitter) plugs into a standard wall outlet with the AC adapter. Q: How do you adjust the range you want ? Q: A person with 9 house cats how many systems would I need?? You will need 9 collars for each cat. As for the transmitters it will depending on how many areas you want to try and block. If it is one area then you will need the 9 collars and 1 transmitter. You can use as many transmitters and collars as you need. A: If you have an overlap that is causing the signals to cancel each other out you can turn down the transmission range so that they are no longer overlapping. This can be set to a radius of 2-10 ft. With that being said, if you can put one of the transmitters in the middle of the 15 x 18 area it will be able to cover the entire space. The transmitter can cover 10 feet in each direction or a 20 foot diameter. Q: Where do I find the extra collars for the Part Number:PIRF-300C? Q: Is there a way to preven the signal from traveling Above the unit? I need this for an area in my basement however it transmits trough the ceiling onto the floor above shocking her there as well . You would have to be able to position the unit in a way that it would still block the desired area despite turning the signal down to a level that wouldn't reach upstairs. Q: What frequency does this use? The reason I ask is my dogs have the in-ground Sport Dog fence which the Pet Safe collars work for. I don't want the cat collar and dog collars on the same frequency, as the cat needs to stay inside, while the dogs can use the doggie door. Both the dog collars and cat collars work with the transmitter disk that is a part of this system. Therefore, if your dogs are wearing their collars they would not be able to get past the barrier set on the indoor transmitter to get outside. Q: How do i order an additional collar? Which cost is compatible with the indoor cat barrier? Q: Will this work through an interior wall? Yes the system uses a radio signal so it will work through an interior wall.